Time spent visiting Sallisaw's many historical and entertainment sites can keep you busy for many active days. The area's natural beauty which encompasses lakes, mountains, and a wildlife refuge are an exciting part of our lifestyle. Historical ties to the famous Trail of Tears migration are strong connections to the culture and history of the Cherokee nation. Literary bonds with one of America's greatest novels, Steinbeck's “The Grapes of Wrath” provide even more fascinating insights into the core of what makes Sallisaw the fantastic community lifestyle you will enjoy. Once again, Rural Housing Developers, through its construction affiliate - Murdoch Contracting, has completed a total rehabilitation of two of our properties in order to give our valued residents an entirely new and substantially upgraded lifestyle. The management of our two properties in Sallisaw, Oklahoma; RoseRock I and II (formerly Sallisaw Heights and HLM Apartments) has always been devoted to the comfort of our residents. It was determined in 2011 that we wanted to completely gut these properties so that not only the surface amenities, but also wiring and plumbing, new walls and floors, all new appliances, all new kitchens, all new bathrooms and windows would be completed in each unit so that each and every apartment at both communities would be a totally new lifestyle experience for our returning and our new residents. Demolition of existing interiors began in early fall of 2012 followed immediately by reconstruction which was completed on schedule. New roofs and other exterior upgrades were also made so that both properties now have a peak appearance both inside and out. Both of the RoseRock communities have now become Sallisaw's finest apartment homes. Both RoseRock I and RoseRock II have a total of 24 units at each site. Each property has 12 spacious one bedroom units and 12 even more roomy two bedroom units. With all of the completed improvements, the lifestyles of our residents has become one of both comfort and pride. RoseRock I has new gas furnaces and water heaters - RoseRock II is all electric. The total development cost for the RoseRock properties was approximately 4.6 Million. Approximately $1 million was provided by USDA Rural Development in the form of assumed existing loans. Great Southern Bank provided construction financing and a permanent loan for $210,000. $355,145 of Affordable Housing Tax Credits were awarded by the Oklahoma Housing Finance Agency, which will generate approximately 3.2 million of equity used for this rehabilitation of RoseRock Estates I and II. The Richman Group acted as the tax credit equity syndicator on this development. Murdoch Contracting, LLC was assigned a planned completion date of the end of February 2013 which was met as expected. Sallisaw is a wonderful small community located in the beautiful countryside of Eastern Oklahoma, only a 25 mile drive from Ft. Smith Arkansas and about 100 miles from all the opportunities and entertainment of the Tulsa area. RoseRock Estates I offers you 24 family units with a beautiful and peaceful lifestyle with easy access to shopping, restaurants, and your other personal needs. RoseRock Estates I was formerly named HLM Apartments. 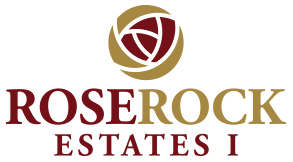 We have now partnered with HLM under our new name of RoseRock Estates I. Not only the name is new. We are currently well underway in major re-construction for a comprehensive rehab of the property, both exteriors and interiors, which is resulting in a virtually new apartment for each of our future residents. Exterior improvements include new roofs and siding as well as paintwork and landscaping. Interiors have been stripped to the wall studs and concrete slabs. Improvements include new flooring and carpets, new insulation, complete new paintwork and trim throughout, as well as all new bathroom fixtures and total replacement of all appliances, counters and cabinets. RoseRock I has 24 units. All 12 of our 1 bedroom apartments are 520 square feet and rent for $385-$520 per month. Our 12 - 2 bedroom units are all 682 square feet and rent for $459-$590 per month. Assistance with rent and utilities may be available through Rural Development and utility assistance may be available through USDA - Rural Development. Our friendly and service oriented management team is always devoted to your comfort and safety. Please contact us at 918-775-6581 or by fax at the same number for an appointment or to ask any questions. From I-40 turn north on Kerr road to Highway 64. Turn right (east) on 64 and take an immediate right on No Name Street then a left into Rose Rock I.